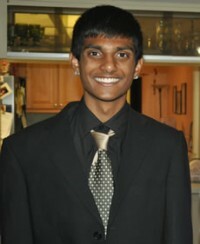 Abhimanyu Janamanchi is 16 years old and is a junior at Palm Harbor University High School. He was born in India and is a lifelong UU Hindu. Abhimanyu is an active member at the Unitarian Universalist Church of Clearwater where he participates in leading worship and Young Religious Unitarian Universalist (YRUU) related programs. Abhimanyu is currently the worship coordinator for the General Assembly Youth Caucus, is on the Florida district board as a youth representative and is a Chrysalis trainer. Abhimanyu enjoys playing basketball, watching movies, and living out his faith every day.